This church has such original architectural features that it can be set among the most interesting Italian religious monuments. Actually there are few and isolated possible analogies with it in Aversa and Acerenza cathedrals, in the unaccomplished broadening of the church of SS.Trinità in Venosa and in S.Antimo by Castelnuovo dell’Abate in Siena. 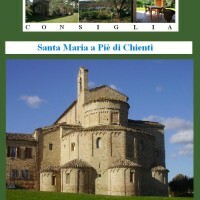 S.Maria a Pie’ di Chienti, named also SS. Annunziata, rises on the left side of Chienti river, few kilometres far from the river outlet. The oldest clear and right information on it and on the enclosed monastery derive from Farfa and date back to the year 936. There are very different hypothesis on the exact date when the present church was built. At the entrance of the building, an epigraph suggests that abbot Aginolfo was the patron of the church and inside the façade another inscription carries the date 1125, the year when Aginolfo was appointed abbot of Farfa. Historians seem to agree that in those years the present building was finished. It is quite evident that the church has common features with the Cluniac architecture, therefore the building could be considered an example of Lombard architecture with Burgundian scheme. In the ower part of the church, the semi-circular apses open upon the ambulatory through seven sem-elliptic archs. They are of sure Byzantine influence and suggest a possible oriental inspiration, probably coming from similar examples present in the South of Italy. 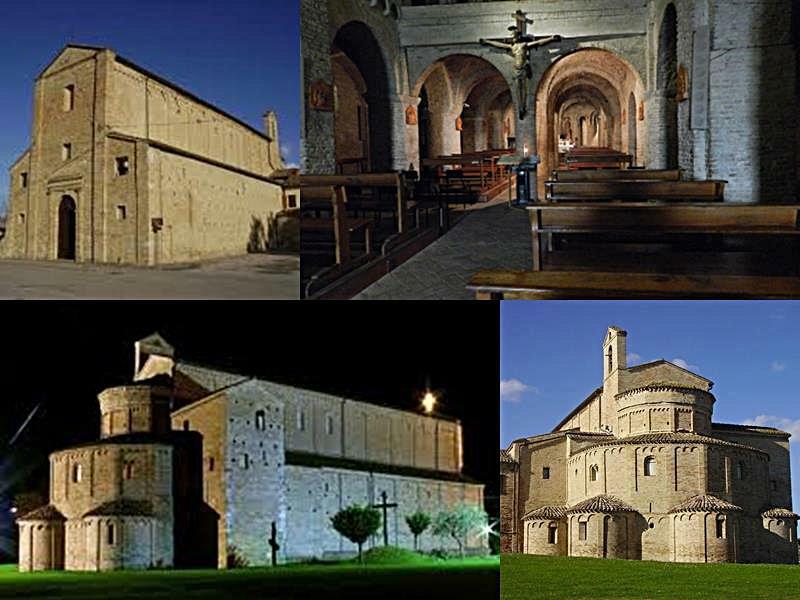 What is sure is that at the end of the XIV century or at the beginning of the XV, some other works changed S.Maria a Pie’ di Chienti structure and made it have almost the current aspect. It is exactly in this period that the upper apses was wholly coated by frescoes. The façade is not the original one at all. It was built again between the XVII and the XVIII century. In the same period there was a whitewashing of the inside and the building of a big central staircase connecting the two lateral flights of steps. These too were later removed in the early 1960’s and replaced by a linking staircase set in the right wing of the transept. 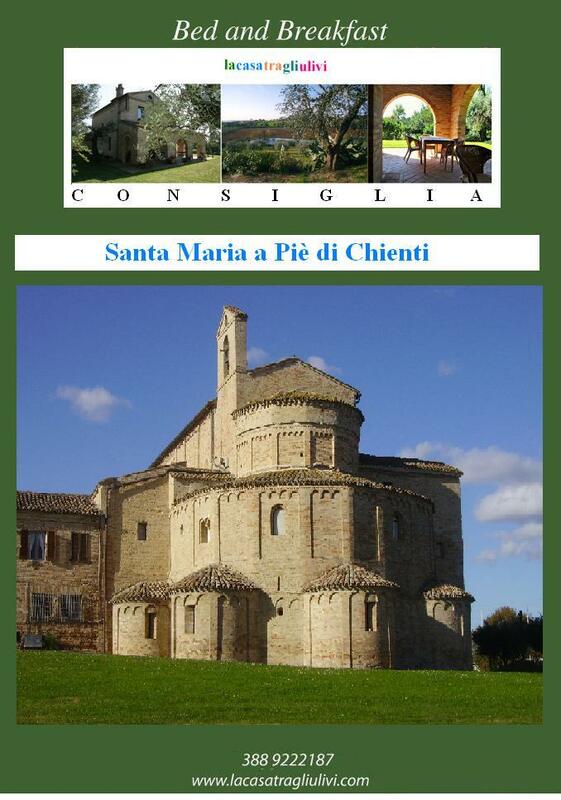 S.Maria a Pie’ di Chienti belonged to Farfa until 1477, when Pope Sisto IV handed over the church and all its properties to the hospital of S.Maria della Pietà in Camerino that is still in charge with them. The bell, still in use, dates back to 1425.